The world has experienced traumatic events and witnessed dramatic changes since the appearance of the second edition of this book. The attack on the World Trade Centre in New York in 2001, followed by the United States intervention in Afghanistan, and the invasion of Iraq in 2003, have challenged the foundations of the international order. The establishment of the African Union and the creation of the International Criminal Court have added two important new institutions to international life. International law has addressed these developments by adjusting old and creating new rules. Less spectacularly, international law has undergone major changes in the fields of state responsibility, immunities, international humanitarian law and international criminal law. 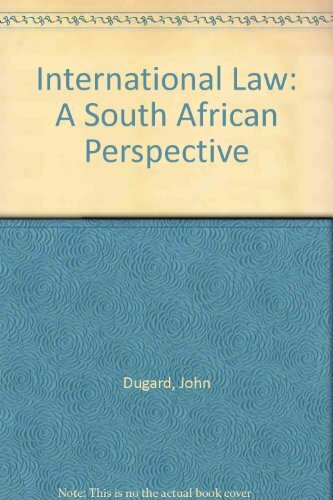 In South Africa, statutes and judicial decisions have emphasised the unity of international law and municipal law.The third edition of this book addresses these developments and integrates them into the body of established international law. Most treatises on international law approach the subject from some national perspective. This book follows this course. 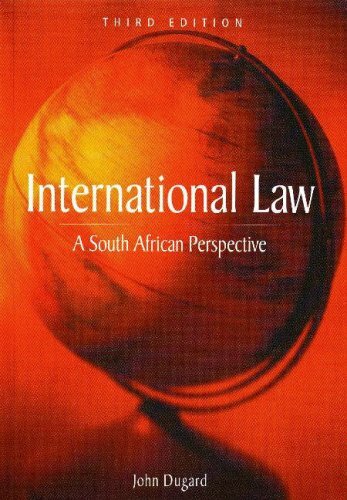 International and South African sources of law are invoked to provide both a picture of international law and a study of international law as applied in South African municipal law. The book is intended for law students, legal practitioners and those engaged in the study and practice of foreign relations. John Dugard SC is Professor of International Law at the University of Leiden and an honorary professor of law in the Centre for Human Rights at the University of Pretoria. For many years he was a professor of law at the University of the Witwatersrand and is today an honorary professorial research fellow of that University. He is a Judge ad hoc of the International Court of Justice; a member of the International Law Commission, and special rapporteur to the United Nations Commission on Human Rights. He is the author of The South-West Africa/Namibia Dispute (1973), Human Rights and the South African Legal Order (1978) and Recognition and the United Nations (1987).